He was born to Capt. Conrad J. Adams and Elizabeth Jane (née Watson), on 5th November, 1959, in Kingston, Ontario. He has travelled to Portugal, Vienna and Israel during his early childhood and youth with his parents. He has a brother named Bruce. When he was in his early teens, he got employed as a dish washer and stock piled his earnings to buy a guitar. He was involved in music and even played for different bands during his teenage. He even dropped out from school in order to pursue a career in music. He joined the band ‘Sweeney Todd’, as a substitute for their lead singer and in 1976 the band came up with an album ‘If Wishes Were Horses’. He performed many songs with this band for the next one year. He then was employed by the ‘Canadian Broadcasting Corporation’ (CBC), where he got acquainted with various artists. In 1978, he was introduced to Canadian musician Jim Vallance; Jim had decided to become a musician and songwriter and hence left his previous band. The same year, he earned a contract with records Company ‘A&M’, and this marked the beginning of Bryan’s professional career in music. He collaborated with Jim Vallance in song writing and some songs written and recorded during this time were ‘I’m Ready’, ‘Remember’, ‘Let Me Take You Dancing’ and ‘Straight from The Heart’. His album ‘Bryan Adams’ was launched in 1980, and the songs of this album were written by Jim and Bryan, and also co-produced by them. The album which followed was ‘You Want It You Got It’. During the same time he also engaged with other bands in writing songs such as ‘Don’t Let Him Know’, No Way to Treat a Lady’, Teacher Teacher’ and ‘Edge Of A Dream’. His breakthrough album ‘Cuts Like a Knife’ was released in 1983, with its song ‘Straight from the Heart’ which was among the top 10 songs at the ‘Billboard hot 100’ chart. The album was placed at number eight on ‘Billboard 200’ album list, and was also entitled a platinum record thrice in Canada. His next album ‘Into the Fire’ was released in 1987, and it comprised of songs such as ‘Hearts on Fire’ and ‘Heat of the Night’. He then worked as a backup singer with the band ‘Mötley Crüe’ and singer Belinda Carlisle. He also provided a voice-over for television show ‘The Real Story of the Three Little Kittens’. In 1991, his album ‘Waking Up the Neighbours’ was produced, and this album too became a global hit. It was placed sixth at the ‘Billboard 200’ album list’. The most popular song of this album ‘(Everything I Do) I Do It for You’ topped the charts in many countries including the ‘Billboard Hot 100’ chart. This song retained the number one position in the ‘UK Singles Chart’ for sixteen consecutive weeks. During 1992-99, he produced two albums named ‘18 til I Die’ and ‘On a Day Like Today’. His live albums during this period include ‘Live in Europe – Keep On Running’ and ‘MTV Unplugged’. The compilation albums which he worked on during that period include ‘So Far So Good’ and ‘The Best of Me’. During the 2000-2010 decade, this exceptional artist worked on studio albums such as ‘Room Service’ and ‘11’. Live albums of this decade include ‘Live at the Budokan’, ‘Live in Lisbon’ and ‘Bare Bones’. During the same period this talented singer also created some compilation albums such as ‘Anthology’ and ‘Icon’. His soundtrack albums of this decade include ‘Spirit: Stallion of the Cimarron’ and ‘Colour Me Kubrick’. From 2001 to 2015, his studio album ‘Tracks of My Years’ hit the music stores. He also worked on the live album ‘Live At Sydney Opera House’, and produced the soundtrack album ‘Jock of the Bushveld or Jock the Hero Dog’ during the recent decade. 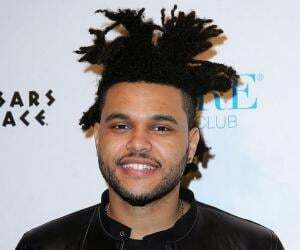 This talented artist has embarked on many concert tours till date such as ‘You Want It You Got It Tour’, ‘Reckless Tour’, ‘Cuts Like a Knife Tour’, Into The Fire Tour’, ‘ Waking Up the World Tour’, ‘So Far So Good Tour’, 18 Til I Die Tour’, ‘Unplugged Tour’, ‘The Best of Me Tour’, ‘Room Service Tour’, ‘Here I Am Tour’ and ‘The Bare Bones Tour’. One of his recent projects is ‘Bryan Adams: Reckless 30th Anniversary Tour’. The resplendent singer has been touring different places and performing live in concerts. His first major hit was the album ‘Reckless’ which earned him global recognition as an artist. It was placed at number one in the ‘Billboard 200’ album chart and its song ‘Heaven’ became a numero uno in the singles list of many nations. The song also topped the ‘Billboard Hot 100’ list. Another song of the album ‘It’s Only Love’ earned him a ‘Grammy Award’ nomination. His next successful album was ‘Waking Up the Neighbours’ which remained on the top of the ‘UK Singles Chart’ for sixteen weeks without any disruption. One of its songs ‘(Everything I Do) I Do It For You’ became a topper at the ‘Billboard Hot 100’ chart. In 1983, he won the ‘Juno Awards’ as the ‘Male Vocalist of the Year’ and the following year, he won several ‘Juno Awards’ for the ‘Album of the Year’, ‘Male Vocalist of the Year’, ‘Composer of the Year’ and ‘Producer of the Year’. 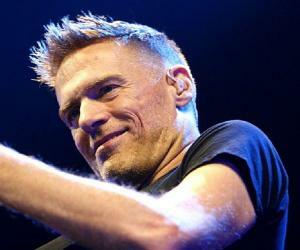 ‘Juno Award’ for ‘Album of the Year’ and ‘Male Vocalist of the Year’ for 1985 was won by Bryan Adams. The same year, he co-shared the ‘Juno Award’ for ‘Composer of the Year’ with Jim Vallance. In 1986, he was awarded with the ‘MTV Video Music Awards’ in the ‘Best Stage Performance Video’ for ‘It’s Only Love’. He also won the ‘Juno Awards’ for the ‘Male Vocalist of the Year’. In 1987, he was a recipient of the ‘Juno Award’ for the ‘Male Vocalist of the Year’ and ‘Canadian Entertainer of the Year’. In 1992, he received a ‘Grammy Award’ in the ‘Best Song Written Specifically for a Motion Picture or for Television’ category. The same year, he also won the ‘Billboard Music Award’ for ‘No. 1 World Single’. The following year, he won the ‘Juno Award for International Achievement’. The same year, he also won the ‘Juno Award’ in categories such as ‘Canadian Entertainer of the Year’, ‘Producer of the Year’ and ‘International Achievement Award’. He was included in the ‘Canada's Walk of Fame’ in the year 1998, and around six years later, he was included in the ‘Canadian Music Hall of Fame’ also. In 1993, he also won the ‘Juno Award’ for the ‘Best Selling Album (Foreign or Domestic)’ for his album ‘Waking Up the Neighbours’. He received the ‘Juno Award’ as the ‘Male Vocalist of the Year’ in the year 1997. In 1999, he was awarded with the ‘Juno Award’ in the ‘Best Songwriter’ category. The following year, he won this award in the ‘Best Male Artist’ category. In 2010, he was awarded with the ‘Allan Waters Humanitarian Award’ for his contributions to charitable causes. The same year, he was honoured with the ‘Governor General's Performing Arts Award’ owing to his years long involvement in the world of arts. 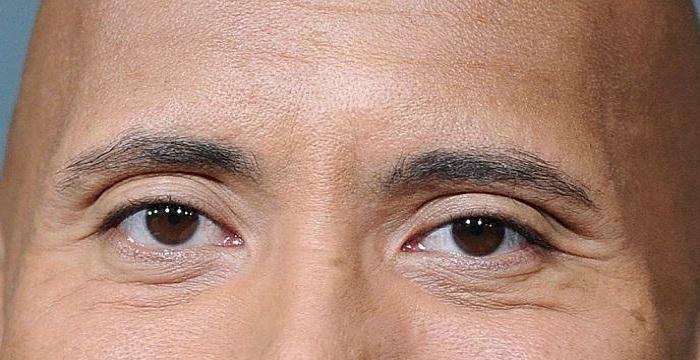 The following year, he was included in the ‘Hollywood Walk of Fame’. 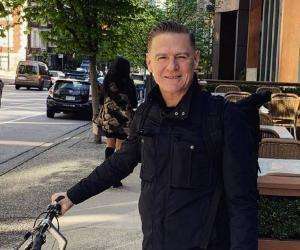 Bryan Adams is married to Alicia Grimaldi and the couple is blessed with two daughters named Mirabella Bunny Adams and Lula Rosylea. He is a professional photographer and has done many photoshoots for renowned magazines such as ‘Vogue’, ‘Esquire’, ‘Harper’s Bazaar’ and ‘Interview’. He has also worked in ad-campaigns for big brands like ‘Sand’, ‘Guess Jeans’, ‘Montblanc’, ‘Gaastra’, ‘Zeiss’, ‘John Richmond’ and ‘OPEL’ cars. He has also published a photographic book named ‘Exposed’ in 2012. The following year, he released another photographic book called ‘Wounded – The Legacy of War’. According to Celebrity Net Worth, this gifted singer has an estimated net worth of $65 million. This famous singer is a supporter of animal rights and is associated with ‘PETA’ group. He even conducts photo shoots for the group.